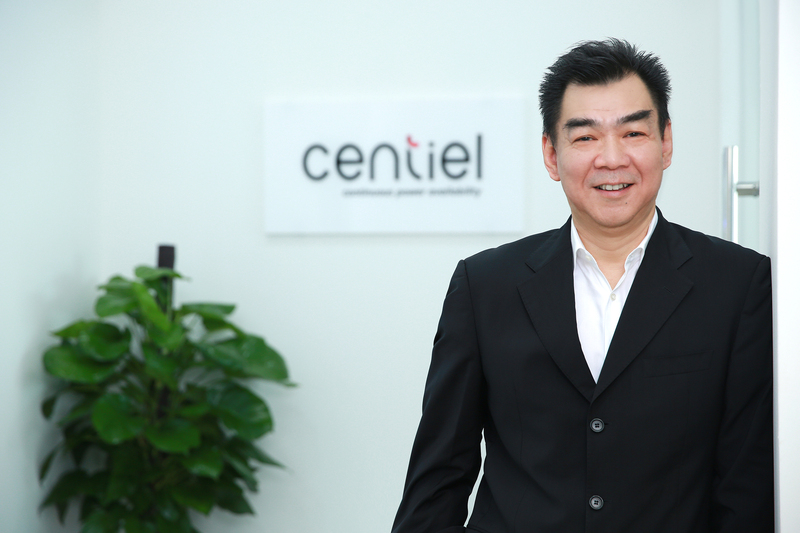 Leading Uninterruptible Power Supply (UPS) manufacturer, CENTIEL, is to exhibit at Data Centre World Asia for the first time this year on booth B60. The exhibition held between 10 – 11 October 2018 at Marina Bay Sands Expo and Convention Centre in Singapore, will enable CENTIEL to demonstrate its pioneering 4th Generation Modular UPS system: CumulusPower designed to meet the critical power needs of data centres and other essential operations. CumulusPower is a three-phase, modular UPS system which offers class leading “9 nines” system availability and very low total cost of ownership. Unlike traditional multi-module systems, the CumulusPower technology combines a unique Intelligent Module Technology (IMT), with a fault-tolerant parallel Distributed Active Redundant Architecture (DARA). The excellence in system availability is achieved through fully independent and self-isolating intelligent modules – each with individual power units, intelligence (CPU and communication logic), static bypass, control, display and battery. In in the unlikely event of a module failure, the module can be quickly and safely swapped without transferring the load to raw mains. In addition, CumulusPower has been designed to reduce the total cost of ownership through low losses: the high double conversion efﬁciency of 97.1% at the module level means it is currently the best solution available to protect data centre infrastructure as its configuration also reduces downtime risk, avoiding costly errors as well as increasing energy efficiency and it is now installed in data centres across the globe. Cliff Lee continues: “CumulusPower is a scalable and flexible modular three-phase UPS system that combines class leading system availability and efficiency that makes it ideal for use in small, medium and large datacenters. However, not every application requires a modular UPS and for these applications CENTIEL’s PremiumTower is perfect. It has the same Swiss built quality and innovative technology, with an online operating efficiency of 96.6% but comes in a lower cost, stand-alone cabinet. We will also be demonstrating PremiumTower at DCW Asia.